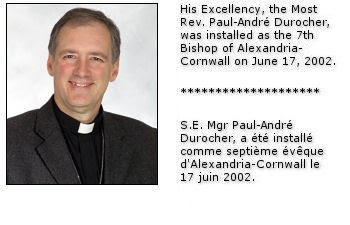 Most Saturday Mornings, with a cup of coffee in hand, I read Bishop Paul Andre’s column (Word of the Day) in the Cornwall Standard Freeholder. Each week he writes a little article on the second reading of the Sunday Liturgy which is down to earth, easy to read, relevant, hopeful, and inspiring. The Bishop has this remarkable gift to demystify big words and complex thoughts and to make them clear, insightful, and meaningful in just a few words of his own. I encourage all of you to read his column, especially this week, as he captures the essence of Pope Benedict’s wonderful encyclical while uniting it to the core meaning of the reading from St. Paul for this Sunday.